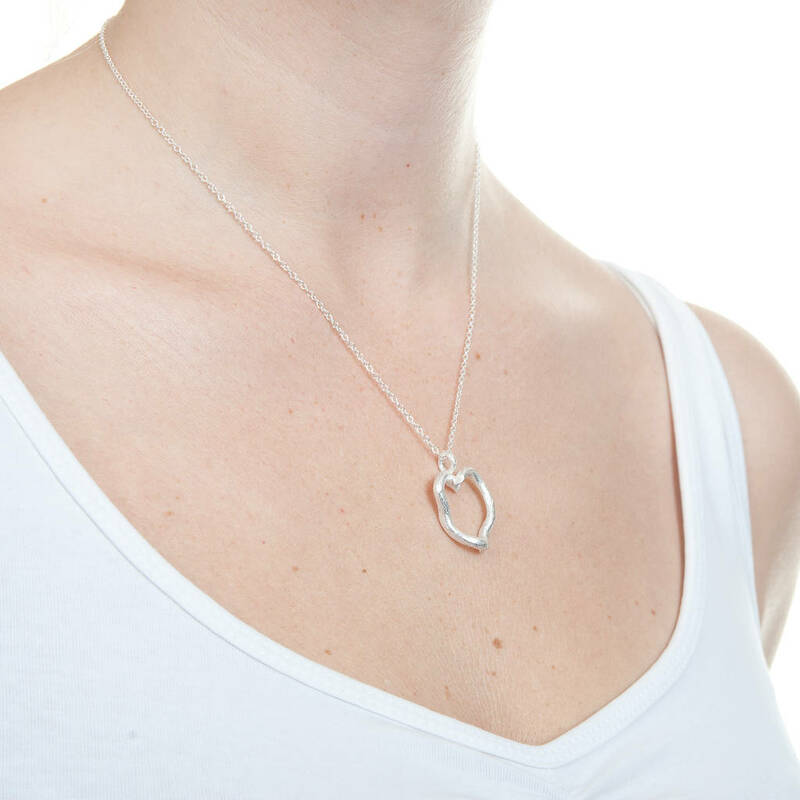 Abeautifully formed heart shaped pendant modelled on rose root.This tactile textured pendant is set with one small diamond. This textured heart shaped pendant is pleasantly different from the usual which are readily available.It would make an ideal Valentines day gift,or a symbol of love at any time of year. Set with a single brilliant cut diamond,wich is the symbol of everlasting love,this subtle design can be worn with any outfit,all year round. 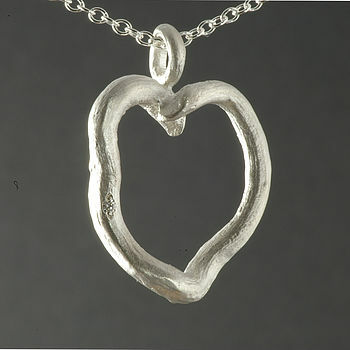 This pendant is also available,at no extra cost,with a polished finish. This product is dispatched to you by Anthony Blakeney.